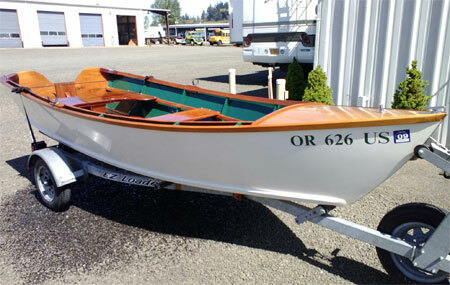 Woody was my first boat build project launched in 1993. Her hull is marine grade fir plywood. Frames are Port Orford Ceder. The transom, seats and trim are Mahogany all fastened with square drive silicon bronze screws. No epoxy was used building the boat other than attaching the frames. She was built using plans from Ken Swan.